Dark chocolate can cause acne breakouts, so choose milk or white chocolate instead. Some of the least known facts about acne are the most important for getting rid of acne for good. Dark chocolate can cause breakouts, but milk chocolate and white chocolate usually will not. Teens who smoke get worse acne. It’s possible to have both eczema and acne at the same time. Coconut oil can help cure acne, if it’s in you, not on you. You can catch acne bacteria from pets and certain wild animals. Sports acne can pop out wherever sportswear is too tight. If you get acne after 50, it’s probably rosacea. 1. Acne sufferers who cannot resist chocolate should eat milk chocolate, not dark. A single 2-oz (56 gram) dark chocolate bar can cause as many as 80 pimples to break out on the faces of acne sufferers who are sensitive to chocolate. Since the offending ingredient in dark chocolate is theobromine, which is more highly concentrated in dark chocolate, you may get less of a reaction to milk chocolate. Eating broccoli and brussels sprouts several hours before eating chocolate, incidentally, increases the severity of the skin reaction. These vegetables cause the liver to make more of an enzyme called CYP1A2, which activates the theobromine in chocolate. 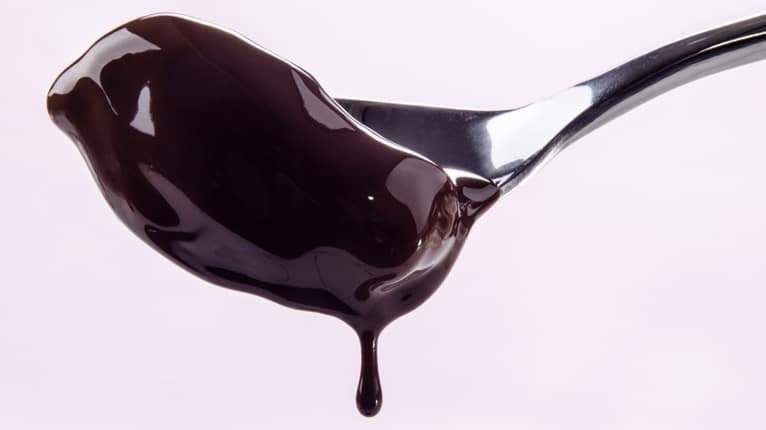 Taking an insulin injection also increases production of the enzyme which increases the production of the skin-sensitizing chemical from chocolate in the liver. 2. Teens who smoke get less acne. The nicotine in tobacco changes the way the brain and skin respond to certain stress chemicals. A study conducted by researchers at the University of Antwerp in Belgium found that teenage girls who smoked 3 or more cigarettes a day for 6 months were 51% less likely to get acne. This should not be taken as a recommendation for teens to start smoking. Teens who quit smoking, however, need to take additional precautions to stop acne, such as careful cleansing, avoiding chocolate, and making sure the skin is moisturized. 3. Acne isn’t the ickiest skin condition. Acne sufferers can take comfort in the realization that there are worse skin conditions. In a study designed to allocate resources of the British National Health Care Study, researchers studied which skin conditions upset people the most. The researchers concluded that, at least in Britain, most people found acne more upsetting than eczema, but less upsetting than moles on the face. The National Health Service then allocated more resources to mole removal than to acne care or eczema. 4. Coconut oil is good for acne, at least if it is on you, not in you. Coconut oil contains lauric acid, which is a natural antiseptic. Applied to the skin, coconut oil, even if used by itself, can remove grease, grime, soap film, and excess sebum. Just be sure to rinse after using it to cleanse the skin. Olive oil is an even better antiseptic, killing 99.999% of acne bacteria on contact. 5. Dogs can get acne, especially Schnauzers. Not only can dogs get acne, it is so common in Schnauzers that there is a term for it, Schnauzer comedo syndrome. In 1997, Dr. Michael M. Hannigan of the Properties Animal Clinic in Calgary, Alberta, Canada reported that a schnauzer developed a severe outbreak of whiteheads on its shoulders that was successfully treated with benzoyl peroxide, Retin-A not working well in dogs. In dogs, acne is a lifelong condition that has to be treated continuously. The most important thing you can do to prevent acne in a Schnauzer is to shampoo the coat regularly. Dogs do not transmit acne to their owners, since a different microorganism, Staphylococcus intermedius, is involved. 6. Texans can catch acne from armadillos. About 70 Texans receive long-term care for leprosy contracted by handling armadillos, an American mammal best known for its tough gray or pink shell and always bearing its young as quadruplets. Pink-shelled fairy armadillos can transmit a particularly virulent strain of acne bacteria as well as leprosy. Treating leprosy, of course, is much more urgent than treating acne from armadillos. 7. Acne mechanica may cause pimples to break out anywhere sports uniforms do not fit well. Acne mechanica is a condition of pimple formation where clothes or uniforms are too tight. It is most common under bra straps, jock straps, belts, and socks. To prevent this form of acne, make sure the fit is supportive but not so firm that the garment presses into the skin. 8. About 1 in 50 people who uses isotretinoin (Retin-A) for acne tries to commit suicide. The anti-acne medication isotretinoin (Retin-A) has long been associated with suicide attempts. In Sweden, 128 out of 5756 people treated with Retin-A was admitted to the hospital after a suicide attempt. Oddly enough, people who had tried to commit suicide before being put on Retin-A for severe acne were less likely than others to make another suicide attempt, suggesting that the issue may not be the drug itself. Be sure to discuss any personal history of depression or attempted suicide when consulting a physician about treatment for severe acne. 9. Cats can get chin acne. Cats can get acne, too, especially cats of the domestic short hair breed. In cats, acne is most likely to be on the chin, caused by infection with 23 different strains of staph infections, including methicillin-resistant Staphylococcus aureus (also known as MRSA), which can also be transmitted from cats to humans and from humans to cats. Both cats and humans in the family have to be treated for the infection for all to get well; humans are most likely to get infections on the nose from their pets. 10. If you get something that looks like acne after the age of 50, it is probably rosacea. Rosacea is a condition of reddening of the skin and pimple-like bumps across the nose and cheeks that is caused by “leaking” of blood vessels under the skin rather than by clogged pores. Anything that stimulates the flow of blood into the skin can cause reddening. Coming in from the cold into a heated room, lying out around the pool, drinking hot coffee and especially drinking an alcoholic hot toddy, eating chili peppers or most kinds of Mexican food, eating piping hot food, and emotional distress can all cause an outbreak of rosacea. Rest, relaxation, and cool temperatures usually relieve it. The average age at which rosacea is first diagnosed is 49. Teenagers can get rosacea, but they seldom do. Changes in the peripheral nervous system and the effects of lifestyle can accumulate, however, so that rosacea develops. The skin care techniques that work for common acne do not work for rosacea. The skin care techniques that work best for common acne are available from Exposed Skin Care.